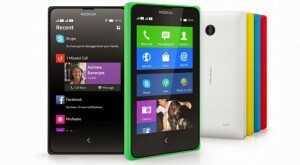 Finally after having to wait for so long Nokia’s Android smartphone range is here, known as Nokia X Series. Today at Mobile World Congress in Barcelona, Spain, Nokia has announced three of its budget Android smartphones with Windows Phone user interface, under the umbrella of Nokia X Series. Namely Nokia X, Nokia X+ and Nokia XL. (Rumored as Nokia Normandy) These Android smartphones are targeted for emerging markets with very cheap price tags, however everyone knows the fact that Nokia was once a Pioneer & King of smartphone world, thus you must expect a really good build quality, phone reception and battery life with these Lumia & Asha inspired Android smartphones from Nokia. Nokia X Series won’t bring up exceptional quad core Android smartphones, as they are not meant to compete with high end Android devices, rather Nokia has tried to cash out the opportunity of selling Android devices to mediocre class who wants to have an Android experience within a limited budget. Nokia X Series is equipped with AOSP Android version that is open source and has been heavily customized by Nokia that delivers the look and feel of Windows Phone, and has inspirations from Nokia’s FastLane UI from Asha series and is termed as Nokia X Software Platform v1.0. Perhaps Nokia X Series is greater than what current Asha devices deliver, but it will be having lower specs than that of Nokia Lumia Series which is Windows Phone and Nokia’s primary operating system as for now. These Nokia X Series devices will not be equipped with Google Apps like Google Play Store, Google Drive, Google Maps, Gmail, Google Calendar and others, rather they will ship with Nokia’s own Nokia Store for apps, Nokia Mix Radio, Nokia Here Maps & Microsoft’s services integration like Outlook & One Drive. Nokia X and Nokia X+ both offer 4 inches display having resolution of 800×480 and 233 ppi as its pixel density having 3MP of rear camera with fixed focus, Qualcomm Snapdragon S4 – 1Ghz Dual Core CPU and 512MB of RAM, 4GB internal storage, dual micro sim connectivity, Bluetooth, WiFi. Whereas the difference lies with 256MB additional RAM making it 768MB and storage expansion with microSD card slot in Nokia X+. Stereo FM Radio & A-GPS for navigational purposes are part of all Nokia X Series devices. Batteries and back covers of these beautiful devices are easily replaceable. While Nokia XL offers 5 inches of display with the display resolution of 800×480 while the pixel density has been reduced to 187 ppi due to large display. Qualcomm Snapdragon S4 dual core processor chip clocked at 1Ghz. There’s an additional 256MB of RAM offered in Nokia XL and making it total of 768MB as compared with other two Nokia X devices. Internal storage is 4GB which could be expanded up to 32GB with external microSD card. In addition to that rear camera has been geared up to 5.0 mega pixels with auto-focus and LED flash. 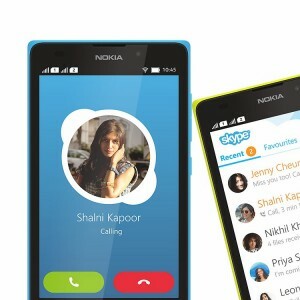 There’s also a 2MP front shooter for Skype video calling purpose. The Nokia X Series will be offered in many vibrant colors to choose from as per your choice and there’s a dual sim support with mini / micro sim slots. These all specs of Nokia XL makes it a prominent Android smartphone for mediocre class and gonna be a massive hit. Nokia X will be priced at 89 Euros, Nokia X+ will be priced at 99 Euros while Nokia XL will have a price tag of 109 Euros, making Nokia X series surprisingly low priced and will be available soon in few weeks for the emerging markets. Since the Nokia X Series devices will possess Android OS, version 4.1.2 (Jelly Bean). Installing Android apps is one of the most easiest job. For instance you need to install any freeware application, you will simply need to download the Android Installation Package (APK file), transfer it on your phone either via data cable, Bluetooth or WiFi. Open that APK installation file from your Nokia X device’s file manager and it will begin the installation. 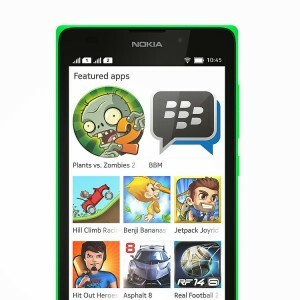 Most of the popular apps and games for Nokia X series would be available on Nokia Store, however there will be plenty of ways to install Google Play Store on Nokia X Series devices once its available to the masses. If you are looking forward to have the best apps for your Nokia X series devices, make sure to keep visiting Android Fan Club’s Popular Apps Section!! I personally feel that this is just the beginning of a new era, Nokia is reborn with Android as its secondary operating system. In next few quarters we will definitely see more powerful Android devices coming from Nokia, although we should keep this fact in our mind that Microsoft won’t be happy with new birth of Nokia with Android, as Nokia & Microsoft’s partnership deal might kill Nokia’s Android project. 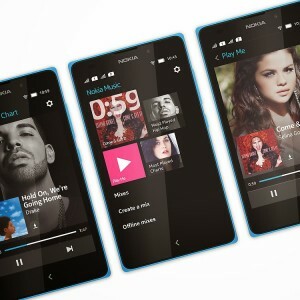 Would you be getting one of the Nokia X Series device for yourself? Do let us know your views in the comments section below.